OBSERVED NEAR BRIDGE CREEK...MOVING NORTHEAST AT 20 MPH. SOUTHERN OKLAHOMA CITY...NEWCASTLE AND TUTTLE. TORNADO WAS LOCATED NEAR NEWCASTLE...MOVING NORTHEAST AT 20 MPH. SHELTER AND PROTECT YOURSELF FROM FLYING DEBRIS. Wow! That was crazy. 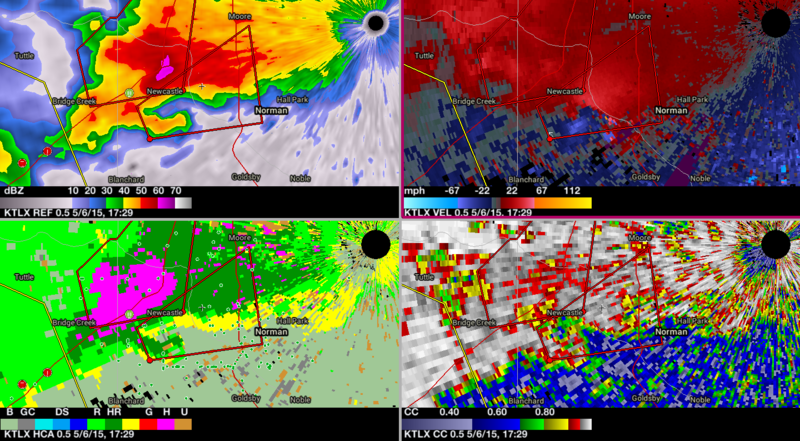 The radar image of the center dissipating and reforming to the SE was so fast. I'm in awe at how quick that happened. Huge wedge heading towards Norman. If anything good can come out of this right now... At least Moore looks to be spared. Sorry I'm not posting I'm talking to family about how to get home and who needs to take cover. As you should. Hope all are safe 99lsfm2. 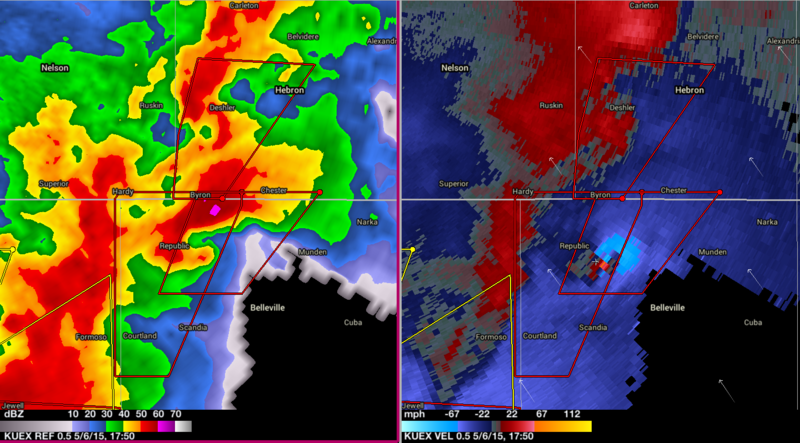 Meanwhile in KS, this tornado has been on the ground FOREVER. Extremely strong and violent as well..
Don't be sorry at all, prayers sent to your family.